Has this been done before? Have you read the geekhack TOS lately? I really hate linear for typing on my SteelSeries 7G, but that's merely because of the huge key travel, so I figured out a way to decrease the travel and dampen the bottoming-out sound at the same time and I can't stress enough how much different (useable) the 7G now feels, very solid and 'industrial' if you like. I also did this with my Compaq 11800 (thanks webwit!) and it feels soooo much less plastic now, I wonder why nobody here thought of doing this before (I'm aware of). I bought a couple of hundred nbr70 rubber o-rings size 5 x 2 mm. Perhaps 5 x 1,5 mm would have been better but that's just a matter of taste. That's a pretty nifty looking modification, especially if it results in the desired behavior! I've done this with my buckling springs. A rubber washer around the bottom shaft that houses the spring. Has the same effect, and quite nice. Hmm, I just emulated this by cutting a similar o-gasket* in half. It certainly did deaden the sound of the bottoming out, but I was not thrilled with the reduction in key travel. If anything it caused me to bottom out more often and thus make even more noise lol. Still, the concept has merit, so it's just a matter of finding something thin enough... or alternatively modifying the keys so that the cross support leading to the mounting tube is notched out allowing the ring to dampen the bottoming out, but at the same time not cut down on key travel. what kind of board do you have? On my endurapro (bs switches) i bought very thin and tiny washers from my local hardware store. The key travel was impacted only minimally (I basically didnt notice it; i bottom out anyway when i type no matter what i use). But side by side with an unmodded key, the key travel difference was like less than a millimeter. The o-rings are prolly thicker than what I used tho. After some time and getting used to it, I really, realy like this 'new' short travel (Compaq 11800); I'm by no means a touch typist and bottom out all the time (sorry). Can't wait to try this mod on the Filco FKBN104M/EB. I might order the 5x1.5 mm o-rings later, just for the fun of it. I have the Kinesis Advantage, so I'm using the same MX type switches that hotswank is (albeit brown and not black). A washer type affixed in some manner might do the trick. I'm not sure how much dampening a super thin piece of rubber can offer though. Theoretically the softer the landing, the more dampened the sound should be. It's worth a test though, and I'll be on the lookout the next time I'm at the hardware store. Lmao... blame this on it being 3AM while I was raiding the workshop. The term I was looking for was 'grommet'. I still don't remember what they were bought for, but whatever. hmm very interesting little tweak here. I just applied this to my FKNB 87m/eb it has certainly help with the annoying noise but im not sure im liking the super short key travel. Interestingly enough my typing speed has stayed exactly the same - 60wpm over a short 2 minute test. I don't bottom out the cherry browns, I don't know how useful it would be, but interesting and easy. cheap easy mod that i recommend anyone unhappy w/ a cherry keyboard try. However, i just didnt like the key feel BUT i did leave the rings on every oversized/non letter key and it has definitely helped w/ the obnoxious noise this keyboard makes. Unfortunately it didnt remove the annoying rattle sound the space bar makes when it pops back up. The most annoying keys for me were space, and backspace which are significantly quiter now so it's a nice improvement. On a variation of this idea, I've been thinking about strips of rubber mat between the key rows. That might be easier to apply. If I read the MX datasheet correctly, one would need a thickness of about 8.5 mm for an effect on the last 1.5 mm of travel. Hardware in signatures clutters Google search results. There should be a field in the profile for that (again). This message was probably typed on a vintage G80-3000 with blues. Double-shots, baby. Hm. If you use the O-Rings and press the caps back on the switch. What makes you sure, that the "+"-bracket is fully into the cap? Theoretically the Switch needs less pressure to move down than the cap to be pressed onto the bracket. So I assume, that if you press a key modified with a ring it is still nearly bottomed out as usual because the cap is not fully mounted. Of course that applies only if the "+"-shaft is as long as the "+"-hole in the cap or at least as much longer as the ring is thick. This trial has been done in Korean keyboard community, kbdmania and otd, which was proven easiest and effective mod for topre and cherry switch. For topre, most people likes it(dramatically reduces the noise) but in cherry case, someone may hate it because it changes the feeling too much. I'm gonna try with my poor broken up Boscom cutting out the portion of the keywell where the buckling spring hits. that will be interesting to see how it feels. basically the tactility should remain but the sound should vanish? Did putting the o-rings on the MX-11800 really kill the key travel? Thanks allot for the links. If I'm following the thread of pictures correctly it looks like what is being done is more to dampen the noise when the key bounces back after a key press interesting. 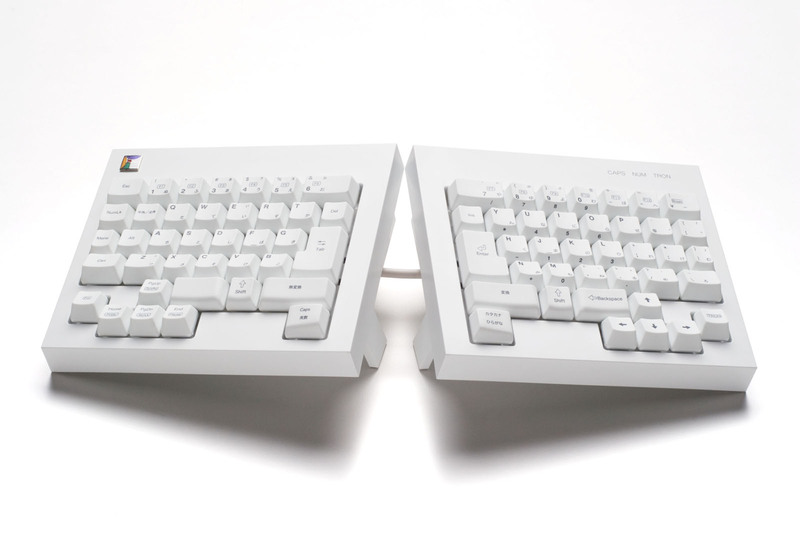 Keyboards I still want to get - Happy Hacking Keyboard Pro 2 the White version, Realforce 23U number pad in black and maybe white, μTRON ergo board with Topre switches. I wonder if felt washers would make a good alternative. Should soften and quieten bottoming out without affecting travel so much. May or may not last as long as rubber though. who needs the Topre any quieter. Monks? so has anyone found any sort of o-ring that dampens the noise but also doesn't mess with the key travel too much? i'd really like to know if someone found some good ones! They are very soft and stable over time. And should be very easy to find in any mid sized hardware store. due to their V shaped section are softer than o-rings if compressed axially, as in this case. They are also available in a wide variety of elastomeric (rubber-like) materials so are well suited to some experiments and to fits different tactile tastes. Kinesis Contoured Advantage & Advantage2 LF with Cherry MX Red switches / Extra keys mod / O-ring dampening mod / Dvorak layout. ErgoDox with buzzer and LED mod. Here are fantastic and cheap 008 o-rings, at 50A durometer (softer, thus much better than the standard 70-90 durometer ones). Drill down to AS568A size 008 round 50A durometer, they are $9.17 per 125 pack. McMaster-Carr part number is 2418T114. Better deal than the 40A durometer ones I acquired earlier. Btw with metric parts (Europe, etc) I would recommend o-rings with 5mm inside diameter, 1.5mm thickness. You could try 1mm thickness but it might be too thin to have any effect. YMMV. There is variation from keycap to keycap sometimes, so it's good to have a few different sized o-rings or washers to handle those cases anyway. The size I already provided is the one to get. The material doesn't matter. My favorite Shore A durometer is 40 to 50 (medium soft). Just did a partial O-ring mod on a Kinesis Contoured (it takes a while) and so far it's AWESOME!!! I am thrilled. I don't bottom out much, but when I do, is now quiet, soft, and it is far more pleasant. It also quiets the upstroke as well. It's what I've always wanted, but didn't know it. KINESIS ADVANTAGE - Everything you want to know but are afraid to ask! It's an amazing difference between the 50A and 70A durometer o-rings. 50A is so much better. Interesting. I wouldn't have guessed the various durometers would make a key feel very different. I would have thought having any O-ring would be almost the entire effect. This is definitely a Cherry MX switch keyboard UPGRADE. I got plenty of O-rings (#250), they're going on all the Kinesis mod boards I have. I suggest everyone try this, it's very dramatic, the quieter downstroke/upstroke, and soft landing. Takes away 'Pinnngg!!' and makes the feel more solid. Thanks for doing the R+D! The Kinesis Advantage O-rings with 2 types of keys, on left white doubleshots, on right black singleshots. Half the white and black keys with O-rings, half without so can compare all 4 different feels. Then switch all keys to the best feel. Doubleshot O-rings better than singleshot O-rings better than doubleshots better than singleshots. Doubleshot O-rings and singleshot O-rings are almost the same, the doubleshots are slightly quieter, smoother, cleaner looking due to no decals. No surprises here. Select AS568A size 008 round 50A durometer Soft Buna-N O-rings $9.17 per 125 pack. Or just enter part number #2418T114 in their search field. You will pay shipping that they don't quote you at the time of order. It was about $5 from Los Angeles to San Francisco for 2 packages. Whoo hoo just bought my O-rings through the same supplier as the Army... LOL. Thanks for the part number, Sordna. Did you get them yet? How do you like them? I have yet to see whether the O-rings from sordna's mod feel any different as McMaster Carr wont ship to Canada and oringsusa costs too much to ship here even if I knew the part#. sordna uses silicone duro 50 but WASD hasnt specified anything except industrial nitrile rubber and although the duro isnt mentioned, I can tell you from pinching them that they aint soft at all. The wasdkeyboards o-rings are the same as the mcmaster ones (part number 2418T114) I was recommending. They are 50-durometer hardness. They are considered soft actually, noticeably softer than the standard 70-90 durometer o-rings. The red silicon ones that can be seen in some photos I posted came from oringsusa.com and are 40 durometer (slightly softer than the mcmaster/wasdkeyboards ones) but still firmer than the firm (gray) landing pads. #1: 40-durometer red silicon o-rings, feel great and are easier to find when they fall on a black keyboard. They are the easiest to install too. I usually recommend #2 because they are easier to order, and available in 2 different places. For #1 you have to call oringsusa.com to order over the phone (although they seem to have switched to an online ticketing system now), and order enough to cover the minimum order amount: 250 o-rings / $25 before shipping. Hmm, I should mention this to wasdkeyboards, they can get a good deal if they order a big quantity to resell. I'd recommend a title change. I'll PM him and ask. Do not modify this value unless you know exactly what you are doing. Doing so can radically change the page's behavior. You can change it yourself, it'll create a ghost wiki, then ask iMav to delete the old one. There are a bunch of these Ghost Wikis littering the Wiki subforum too. The new ghost wiki will have a different id, and old links to this wiki (after it's deleted) will break, no? They just quoted me 500 pieces at $0.05 each in order to make their minimum order of $25 (and I pay shipping, of course). I spoke to Mayra (pronounced "Myra"). Nice, that's enough for several keyboards, or you can sell the extras here. I have a Leopold brown full-size. If using the #1 or #2 o-ring choices above (roughly 4.47mm x 1.7mm, or 5mm x 1.5mm), should I place them also on the mounts going over stabilizers (spacebar, Shift, Enter...)? You don't need to, but you can try and see. Actually, at least on my Poker which has similar stabilizers, the stabilized keys feel like they are already dampened, so I put o-rings on all of the Poker's keys except the stabilized keys, and it feels very nicely uniform this way! The pink o-rings are probably the best o-rings you can get, and with shipping less than $2.50 for international destinations, I think it solves the issue for the European folks who couldn't find soft o-rings in Europe. Page created in 0.122 seconds with 73 queries.